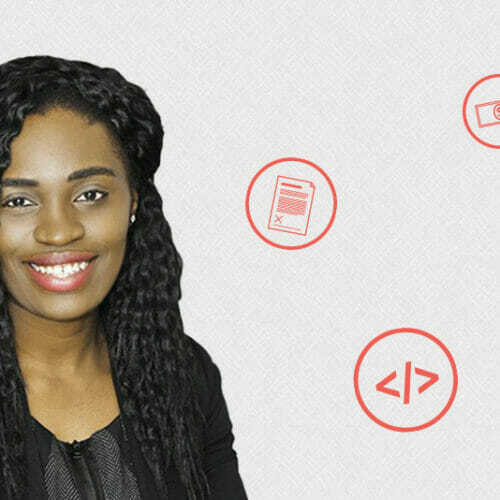 Becoming a great designer or developer isn’t just about learning new tools—how you go above and beyond matters just as much when it comes to crafting a truly stellar career. 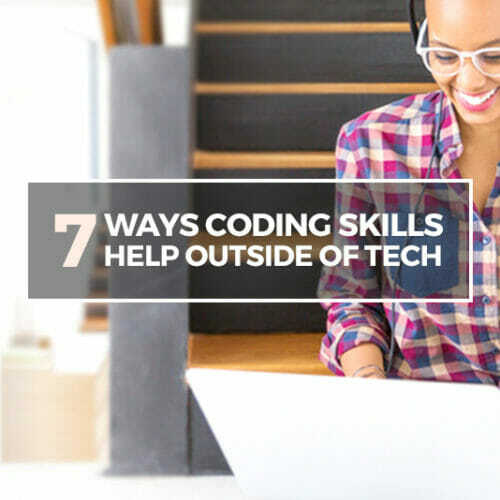 Sure, you can learn the technical skills you need to land a job, but that’s not enough to rise to the top of your field. Going from solidly qualified to wildly innovative is a different story. Confession time: I was never a particularly illustrious developer or designer. I’ve designed and developed projects I’m proud of, but I definitely didn’t rank up there with the “greats”—the ones speaking at conferences, booking the biggest clients, and turning out endlessly revolutionary projects. (Luckily, I translated those tech skills into my ideal job as a remote tech editor). But noteworthy web pro or not, I’ve kept an eye on what the best designers and developers are up to. They have a few things in common—from mindsets and approaches to best practices and creative drive. They have a hacker mindset, and aren’t afraid to screw up. A hacker mindset doesn’t mean spending weekends breaking into secure servers or dumping passwords. (Don’t do that.) Instead, it’s the drive to understand the inner workings of how things function and to upend assumptions. Hackers experiment and even break things, because sometimes screwing up can be the best way to find the solution you’d never have thought up by doing things the standard way. This think-outside-the-box mentality is vital to every great developer or designer’s career. So next time you have an idea that seems out of left field, follow it. Just set up a control so if everything explodes, you can revert back to what works without too much panic. They stay on top of innovations and trends. Keeping your knowledge fresh isn’t rocket science, and you can easily build some maintenance into your daily routine. Find the combination of reading newsletters, blogs and books; taking classes and workshops; or attending conferences and meetups that best allow you to absorb as much information as you can about the industry. They network, network, and then network some more. If you follow standouts in the web world on social media, you’ll see that they’re all having conversations with one another—sharing work, looking for recommendations, or posting job openings. It’s a party with the added benefit of resources, professional opportunities, and project inspiration. It might look like random chatting or thought dumps, but it’s so much more: they’re networking—and you should join them. Networking can give you a way into job openings without having to endlessly search job boards, alert you to surprising new projects and startups, and give you a community to tap into when you get stuck. Feeling anxious about joining in? Deep breath. Noah Stokes—a San Francisco-based front end developer—had some calming words in an interview with The Great Discontent. They don’t hoard their knowledge. Simply establishing a network isn’t enough: It’s what you do with it. 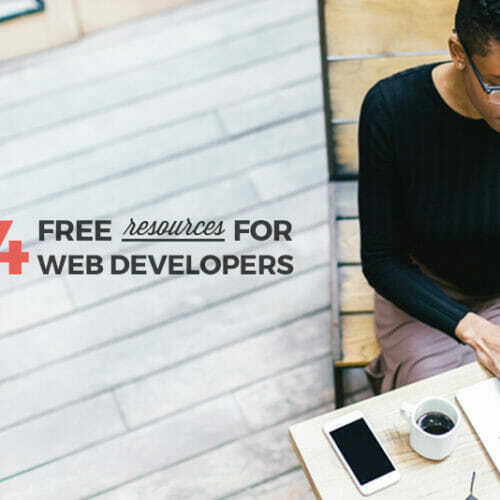 Sharing knowledge freely with other designers and developers is key to advancing not only your own career and standing within the industry, but also advancing the industry itself. Wondering what this looks like? Take someone like Jeffrey Zeldman, for example, who not only founded a successful web design agency Happy Cog, but also started A List Apart—one of the most influential web design and dev blogs on the internet , a publishing company called A Book Apart, and a major tech conference, aptly called An Event Apart. Talk about giving back to the industry. On a smaller scale, you might consider blogging or even teaching workshops about your expertise. Being a good citizen of the tech community doesn’t just elevate the industry—it’s an investment with considerable personal return. 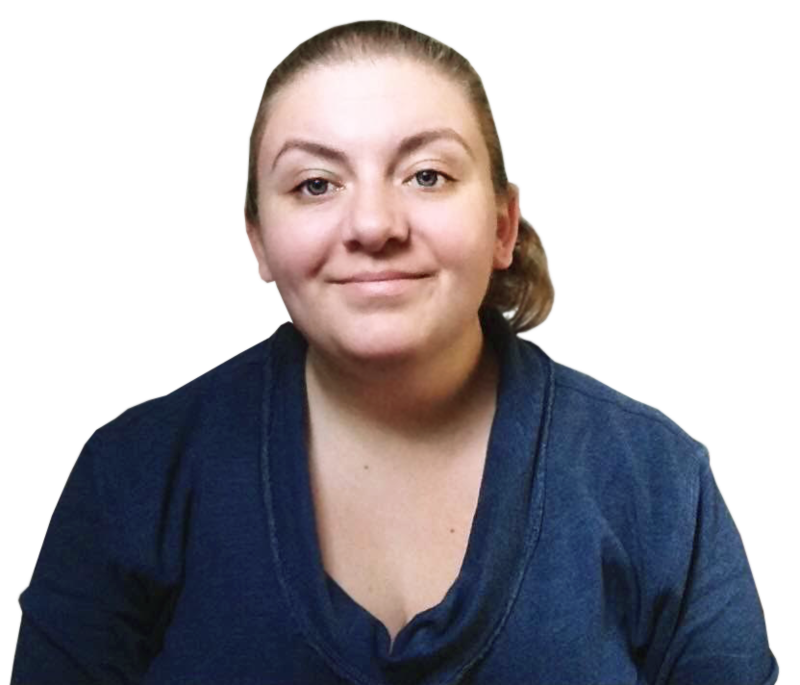 Over at A List Apart, web developer and co-founder of the CMS Perch Rachel Andrew wrote: “One thing I know for sure is that the more generous I am with my time and my knowledge, the more good fortune seems to come my way. This isn’t due to any mysterious karma at play, but simply that people talk to one another.” If people are talking about you, make sure they’re talking you—and your contributions—up. Belgium-based designer and front end developer Veerle Pieters told Creative Market: “I’ll never take on projects that only need CSS & HTML coding work. I do love variation, but I have no problem to do pure illustration work for months in a row. 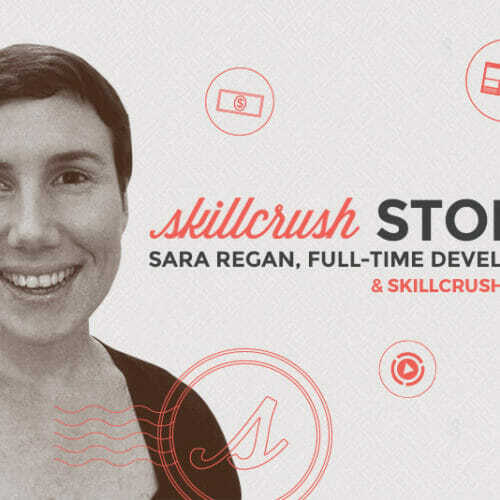 Most projects are web-related and involve some illustration work, which has the perfect creative balance to me.” Pieters’ broad skillset—design, illustration, and coding—makes her a prime candidate for wide-reaching and varied projects. It’s the ultimate flexibility. So while the best developers are fluent in the programming languages they specialize in and top designers are experts on best practices inside and out for both user interface design and user experience design, both also understand the other elements that get a project off the ground. Developers understand UI and UX design, even if actually creating a design might be outside their wheelhouse. The best designers understand how programming languages work, even if actually writing the code isn’t something they’re comfortable with. 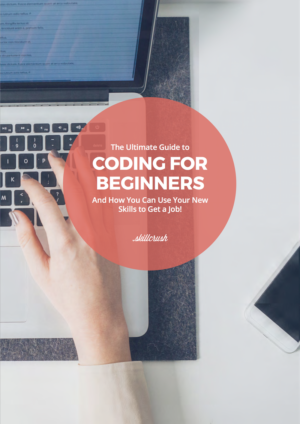 Expanding your knowledge beyond your area of expertise not only makes you better at your job but also lets you work more easily with those whose skillset differs from yours. And, you’ll be able to freely move around to different types of projects, keeping your career anything but boring. 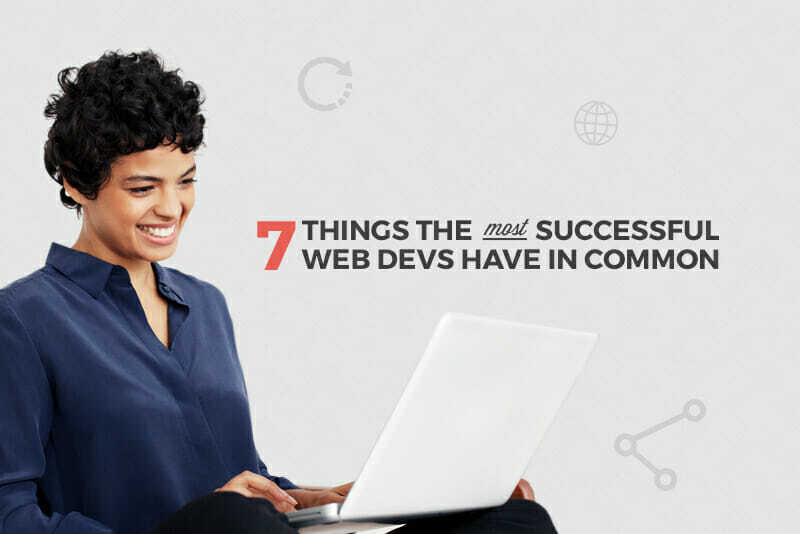 Loving what you do is a big step toward becoming great—and for the best web pros, doing isn’t limited to their 9-5 jobs. The creative mindset touches everything they do, even after they head out for the day. If you’re creative enough to be a web developer or designer, you likely have other artistic strengths—and it’s worth pursuing them. They focus on the end user. At minimum, a developer or designer will create a website or app according to the specs given to them. For some, a project that meets specs is a job well done. But true success means going way beyond the specs and seeing your work through the eyes of the user. So if you’re handed bad specs—if they make the user’s life more difficult, if they’re deceptive, if they complicate things needlessly—follow Bolton’s lead and make a change. Advocate for end users, even if that sometimes means going up against your employer’s or client’s requests. 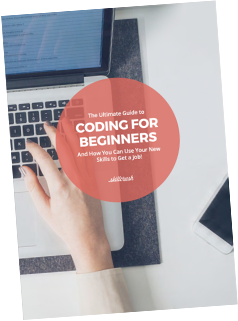 If you’re ready to get started in your own amazing career in tech and need a little insight into the best path to take, be sure to download the free Ultimate Guide to Coding for Beginners. You made some really good points there. I looked on the net for more info about the issue and found most individuals will go along with your views on this site.